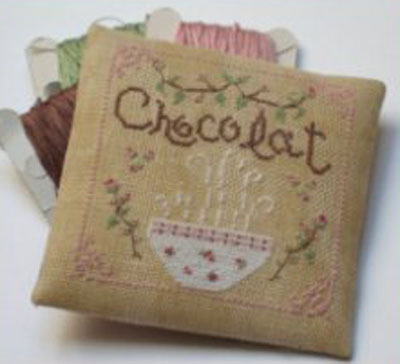 "Chocolate Magnet" is a cross-stitch chart with instructions translated in English. This pattern was originally designed to cover a magnet if stitched as a miniature. A "tea" version is also available (see below the "related products" section).